Connoisseurs of comfort, cats are quite simply the epitome of cool. They’re specialists at sourcing out the coolest spots to nonchalantly watch the world go by and do so with the quiet conviction that can only come from being a Cool Cat. And with temperatures on the rise, we’re encouraging you to take a leaf out of their too- cool-for-school book and learn the ways of the cat! 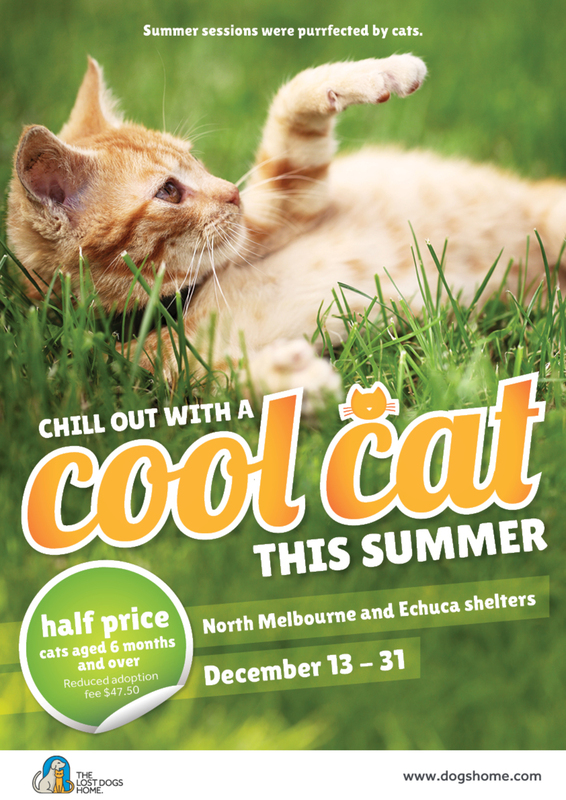 Visit our North Melbourne and Echuca shelters from now until December 31, 2014 and receive 50 per cent off the adoption fee of all cats aged 6-months and over! Ms Bailey said the summer months are typically busy for shelters, with a spike in incoming cats and kittens due to increased breeding and warmer weather. “We currently have so many adult cats available for adoption with many more waiting to come through,” she said. For a cool $47.50 your adopted cat comes fully health checked, vaccinated, wormed, desexed and microchipped — services and treatments all valued at over $300.